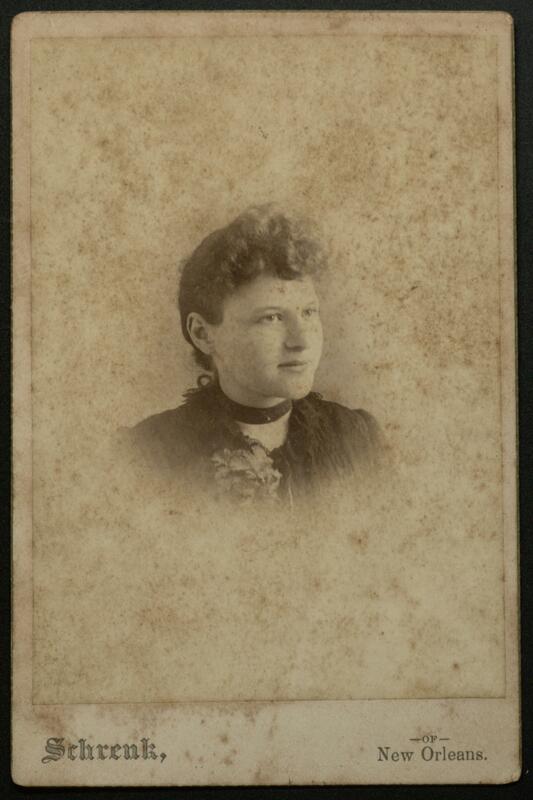 Description: A photograph of Sarah "Sadie" Baldwin Bettis. Sarah "Sadie" Baldwin Bettis was born to Novaline and her husband, George, on September 23, 1871. She married a Frank Jewel Bettis on August 27, 1890, in Orange, Texas. They moved to Beaumont in 1893 where she was active in the Daughters of the American Revolution and the Colonial Dames of America. She died at the age of 80 and is buried in Magnolia Cemetery.